With the holidays fast approaching, I’m sure you’re all pressed for time. Hand knit gifts are always great to give but they often take a long time to make. 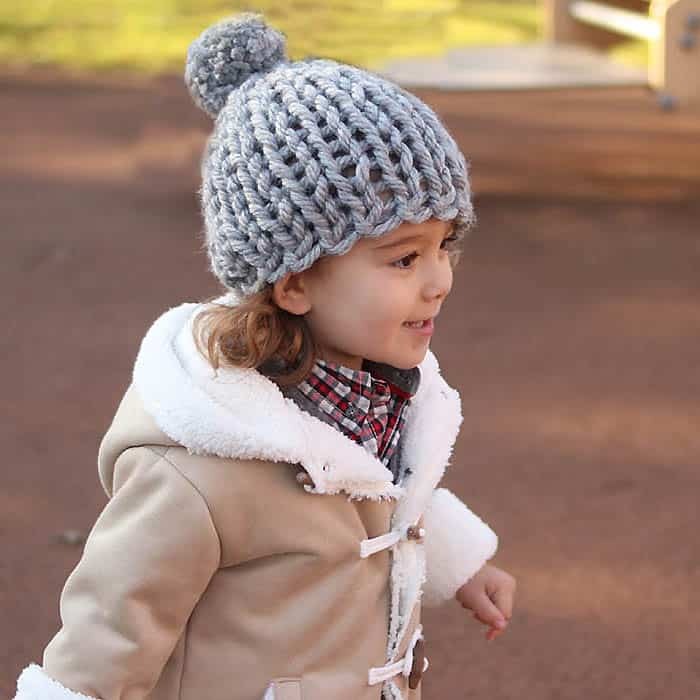 This cozy, little hat only takes 30 minutes to knit! It uses huge needles and very thick yarn so this project moves along at lightening speed. 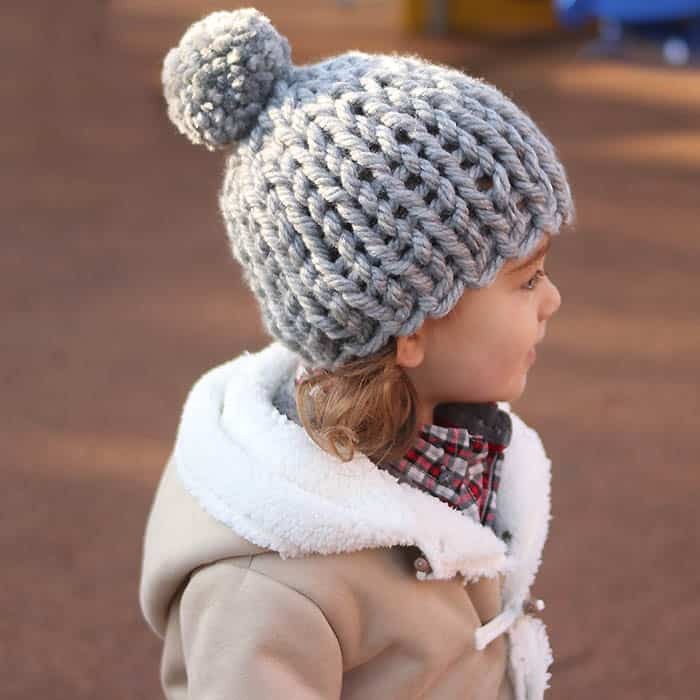 This knitting pattern is knit flat, so it’s perfect for beginners. This Red Heart Grande yarn comes in a bunch of beautiful colors for both boys and girls. 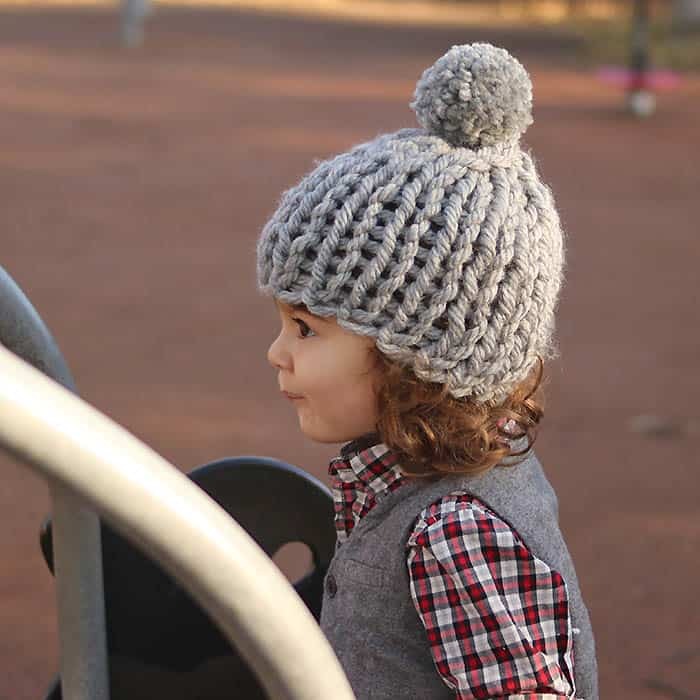 Want more free hat knitting patterns? Scroll down for the pattern or click below to buy the ad-free, printable version for a small fee. The printable version is an instant download that conveniently prints on 1 page. Cast on 19 (20, 21, 22) sts. Work in Stockinette stitch until piece measures 6 (6, 7, 7) inches from the cast on edge. Finishing: Break yarn, pull through remaining stitches. Pull to tighten and sew side seam. Make and attach pom pom.